She finished the autumn-ready look with a khaki jacket and matching sweater. So she does have something in common with the average mum, after all. October is officially full of more treats than tricks, because Kate Middleton is back to the royal visit circuit. Last year, the Sayers Croft Forest School had over 5,500 visits by schoolchildren from across Westminster and neighbouring boroughs, giving inner city children a unique opportunity to learn about and engage with the natural world. August, 2004: Kate was first spotted in the £475 brown boots at the Game Fair at Blenheim Palace in August 2004, right. Kate gave birth to her youngest child Prince Louis on April 23. Kate shared some sweet anecdotes with teachers and students during the visit. Many royal observers had thought that Prince William chose to go on the trip by himself simply because his wife was still on her official maternity leave. 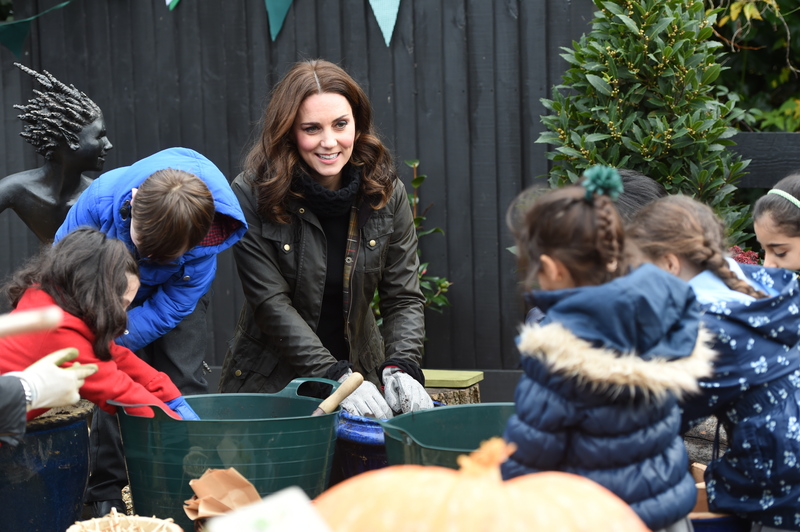 The duchess helped them search for spiders and other "mini beasts" - something she said she regularly does with her own children. She also attended the Trooping the Colour celebrations to mark the birthday of Queen Elizabeth in June, and attended the Wimbledon tennis tournament with Meghan, albeit in a private capacity, in July. Walking up to the students, Kate asked the students "what are you doing here?"